Józef Rufin Wybicki (29 September 1747 – 19 March 1822) was a Polish jurist, poet, political and military activist. He is best remembered as the author of Mazurek Dąbrowskiego (Dąbrowski's Mazurka), which in 1927 was adopted as the Polish national anthem. Wybicki was born in Będomin, in the region of Pomerania in the Polish-Lithuanian Commonwealth. His family was Pomeranian nobility. He finished a Jesuit school, and in his youth was a junior court official. Wybicki was elected a deputy to the Repnin Sejm, the session of Polish parliament in 1767, on the eve of the First Partition of Poland. Subsequently he joined the insurgency known as the Confederation of Bar (1768–1772), aimed at opposing the Russian influence and king Stanisław August Poniatowski. He was one of the advisors (konsyliarz) of the Confederacy, acting as a diplomat. After the failure of the uprising, he spent some time in the Netherlands, studying law at Leiden University. Returning to Poland, in the 1770s and 1780s he was associated with the Commission of National Education. He supported King Stanisław August Poniatowski and his proposed reforms. He helped draft the liberal Zamoyski Codex of laws of the late 1770s. He was a Patriotic Party activist during the Great Sejm (1788–92) – though he was not one of its first deputies, during much of that time staying at his estate, writing and staging operas. 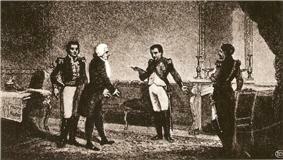 He did, however, participate in the Great Sejm's deliberations, beginning in 1791. In 1792, in the aftermath of the Polish-Russian War of 1792, like many of Poniatowski's supporters, he joined the Targowica Confederation. He participated in the Kościuszko Uprising (1794) and was a member of the Military Section of the Provisional Council of the Duchy of Masovia. After the failure of this insurrection he moved to France. He was a close friend of both Greater Poland Uprising. After the creation of the Duchy of Warsaw in 1807, he held a number of positions in its Department of Justice, and continued working for it after the Duchy's transformation into Congress Poland. 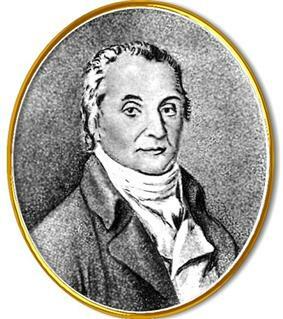 In 1817 he became president of the Supreme Court of Congress Poland. He died on 10 March 1822 in Manieczki, in Schrimm, then part of the Grand Duchy of Posen, Prussia. Wybicki was a writer, journalist and a poet. He wrote political-themed poems, plays and political treaties advocating reforms in Poland in the 1770s and 1780s. His works of that time analyzed the Polish political system, the concepts of liberty, and advocated for more rights for the peasantry. He would also publish more political brochures in the 1800s, advocating for liberal reforms in the Duchy of Warsaw. Mazurek Dąbrowskiego (Dąbrowski's Mazurka) remains Wybicki's most famous creation. It has been regarded as an unofficial national anthem since the November Uprising of 1831. In 1927 the Mazurka was officially adopted as the Polish national anthem by the Polish parliament (Sejm). ^ a b c d e f g h i j k l m Bolesław Oleksowicz. "Józef WYBICKI". VIRTUAL LIBRARY OF POLISH LITERATURE. Retrieved 7 October 2013. ^ a b c d e f g h i j k l m Omer Bartov (2007). Erased: Vanishing Traces of Jewish Galicia in Present-day Ukraine. Princeton University Press. p. 121. ^ Mariana B. Michalika (1994). Kronika powstań polskich: 1794 – 1944 (in Polish). "Kronika"-Marian B. Michalik. p. 10. ^ a b Richard Butterwick (1 December 2011). The Polish Revolution and the Catholic Church, 1788–1792: A Political History. Oxford University Press. p. 285. ^ Władysław Zajewski (1989). Józef Wybicki (in Polish). Książka i Wiedza. p. 10. ^ Aleksander Kociszewski (1982). Pieśnią i szablą: rzecz o twórcy hymnu narodowego (in Polish). Iskry. p. 93. ^ Agnieszka Barbara Nance (2008). Literary and Cultural Images of a Nation Without a State: The Case of Nineteenth-century Poland. Peter Lang. p. 141. ^ Jadwiga Lechicka (1962). Józef Wybicki (in Polish). Państw. Wyd. nauk. p. 167. ^ Anna Grze?kowiak-Krwawicz (17 August 2012). Queen Liberty: The Concept of Freedom in the Polish-Lithuanian Commonwealth. BRILL. pp. 126–127.